Everytime I hear ‘Strokes side project’ lately, I want to cringe. 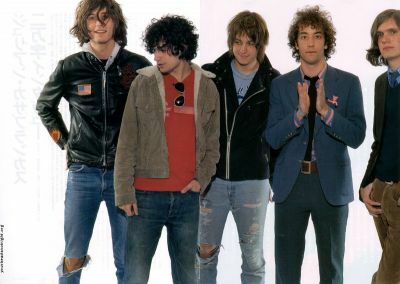 Though I do actually like their musical venturings outside of The Strokes, a part of me really wants them to make a new record together. Apparently they are supposed to start recording a new record by the end of this year, and it will be out next Spring. I hope so. Its been over 2 years since they released “First Impressions of Earth” and I’m going through a bit of Strokes withdrawal the past few weeks. Currently Albert Hammond Jr. is on tour supporting his new solo record. Nikolai is working on a film and has a folk side project called ‘Nickel Eye’ and now even Fab has a side band as well. 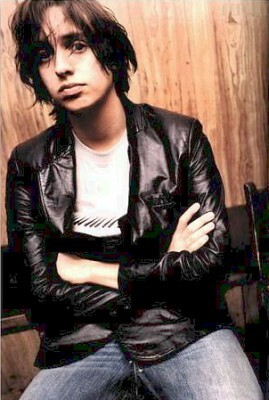 But let’s not forget the recent collaboration between NERD, Santogold and Julian Casablancas. I must say that “My Drive Thru” is super catchy and I love Casablanca’s voice in it. Pharrell Williams is also supposed to be producing the new Strokes record. Oh what a sound that will be.